This is an image of the daughter of former Russian Spy Sergei Skripal, Yulia Skripal taken from Yulia Skipal's Facebook account on Tuesday March 6, 2018. British media reported Tuesday that Yulia Skripal, one of two Russians poisoned by nerve agent, has been released from the hospital. LONDON — Yulia Skripal, the daughter of the Russian double agent who was poisoned in a nerve agent attack alongside her father, was discharged from hospital and taken to a secure location, her doctors said Tuesday. Yulia Skripal, 33, recovered more quickly than her father, the 66-year-old Sergei Skripal, who is awake and responding well, said Christine Blanshard, medical director of the district hospital in Salisbury in southeast England where the attack took place. She was released late Monday. Alongside the Skripals, a Salisbury police officer who was a first responder to the park bench where the couple was found, was also treated and released last month. “Although he is recovering more slowly than Yulia, we hope that he too will be able to leave hospital in due course,” Blanshard added. 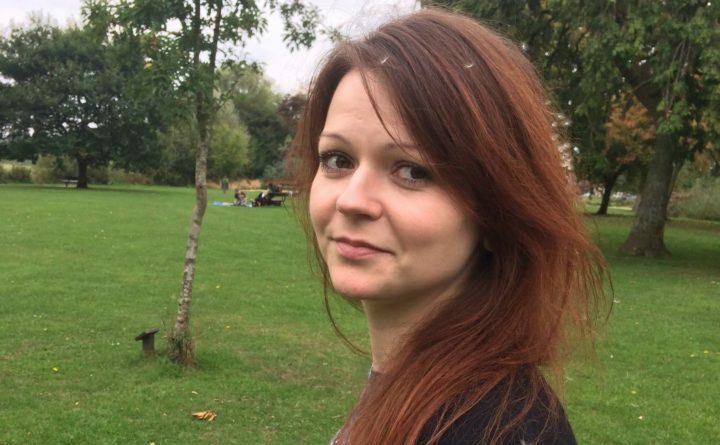 Yulia Skripal is likely being protected by British security forces. British investigators and Prime Minister Theresa May say the Skripals were attacked by a Novichok-class, military-grade nerve agent of the type developed by the Soviet Union and Russia. Russian officials have denied any wrongdoing in the case — and instead top Russian diplomats have charged that the attack could have been carried out by British agents, in an attempt either to smear Russia, increase military budgets, or distract their own people from difficult Brexit negotiations. After the attacks, 28 countries including the United States booted more than 150 Russian diplomats — many suspected of being intelligence agents — out of their embassies. Russia responded with a similar number of expulsions.